Nabi- UV/Vis Nano Spectrophotometer is a miniature spectrophotometer that can measure cuvette and microvolume samples. Using spectrometer technology, it can accurately and conveniently measure and analyze single wavelength as well as spectrums. It is a standalone system with 7.0” touch screen LCD, and simple data back up through USB is possible. 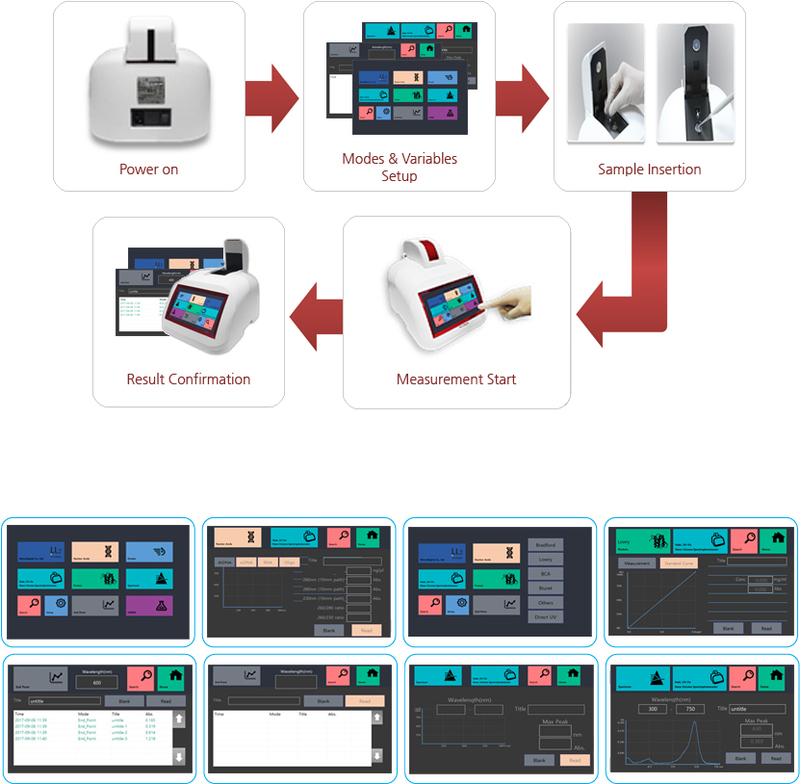 Preconfigured modules and methods editors 14 categories: dsDNA, ssDNA, RNA, Oligo, Direct UV, Spectrum for Micro-volume measurement, and Protein (Brandford, Lowry, BCA, Biuret, Others), End Point, Kinetic, OD600, and Spectrum for Cuvette Measurement. Users can freely set the wavelength to measure in End Point or other categories as well. Absorbance Range 0.002 – 2.0 Abs.